Keeping you up-to-date with CFBISD news and events. 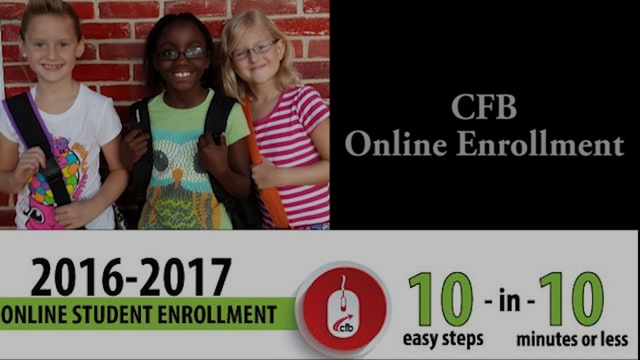 Check out this short video about how to enroll in CFBISD. All students, NEW and CURRENT, must enroll online. Don't miss an opportunity to participate in CFB Events! Download the CFB App on your smartphone or device. It's free for both Apple and Android. Become an expert by learning from one. Brookhaven College's faculty have at least a master’s degree plus 18 hours in their teaching area or the industry-standard credentials in their field. Plus, with tuition rates at about 1/4 the cost of most universities and with our low student-to-faculty ratio, Brookhaven College helps you build a path to success for less. Pediatric Specialists of Plano is a proud supporter of the Carrollton-Farmers Branch School District. Our staff of board-certified pediatricians welcomes immediate well checkups, sports physicals and sick visits. As cold and flu season is upon us, many children are suffering from congestion, cough and sore throats. If your child has a fever over 100.5 and/or continued cough and congestion for more than 3 days, evaluation by a pediatrician is vital to consider treatment for more serious infections or to rule out continued viral syndromes. We welcome the opportunity and privilege to care for your child. Please call at 972-473-7777 or visit us at 3405 Midway Road Suite 650. As a respected educator, Toyota of Dallas would like to honor you with Employee Pricing. During Toyotathon, just schedule a test-drive and you can purchase a new Toyota for what Toyota of Dallas employees pay. Plus, Toyota Care - 24months/24,000 miles of free basic maintenance. Call or email Mitch Bartz at mbartz@vtaig.com and 866-632-6012 for your VIP appointment. www.toyota-dallas.com. Responsive. Reliable. Resourceful. Our clients appreciate our independence! Our independent agency provides businesses and families with insurance options from many highly rated insurance companies. We are not held "captive" as some agents who may represent only one company and can therefore tailor and negotiate coverage for you. Call our local office at 972-512-7701 to speak to Patty LaCoume. We look forward to being of service to you. Copyright © 2016 Carrollton-Farmers Branch ISD, All rights reserved.